The Festival Village is the heart of Noosa Food & Wine and the place to be on Saturday 18 and Sunday 19 May. 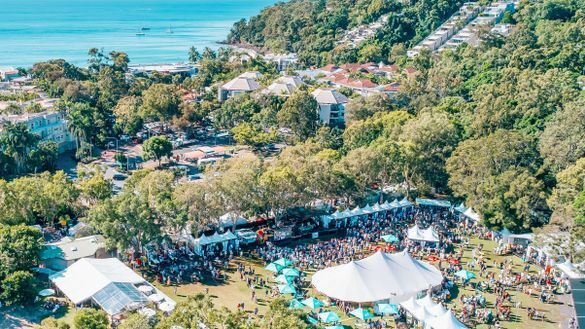 Located in the Noosa Lions Park with the beautiful Noosa waterways as a backdrop there will be live cooking demonstrations, masterclasses, great food and drinks, live music and so much more across the weekend. Read on to find out what's new and what's returning to the heart of Noosa Food & Wine! The River Lounge – NEW- 2 hour sessions $75 per ticket: The Festival Village's newest space, The River Lounge will be bringing some of Australia's best chefs and producers together to create good vibes, delicious bites and hand-curated cocktails. Available only at Noosa Food & Wine for one time only, there will be collaborations like you've never seen before, from Paul Carmichael with Four Pillars right through to Sum Yung Guys with Stone & Wood. The Drinks Lab – NEW - 30 minute sessions $45 per ticket: Another exciting addition for the Festival Village, The Drinks Lab is bringing together some of our nation's best mixologists, wine connoisseurs and spirit gurus to create a series of alcohol inspired masterclasses. The best in the business will be spilling all of their secrets and tricks of the trade from artisan gin, right through to authentic sake. Live Cooking Demonstrations: The Main Stage will feature cooking demonstrations across Saturday and Sunday from celebrity chefs including: Matt Moran, Paul Carmichael, Alessandro Pavoni, Giovanni Pilu, Alastair McLeod, Kirsten Tibballs, Anna Polyviou and others. Noosa's own Matt Golinksi and Matt Sinclair will also be cooking up a storm and crowd favourite, Matt Preston returns again with demonstrations on Saturday and Sunday. Taste of Noosais where you will find some of Noosa's best restaurants dishing up great food across the weekend. Restaurants include Bombetta, El Capitano, Café Le Monde, Embassy XO, Sum Yung Guys, Providore on Hastings, Peregian Beach Hotel, Padre Coffee, View by Matt Golinski, Acruri at RACV Noosa Resort, Village Bicycle, Zachary's and Fiona's Fancies. The Craft Beer & Cider Corner returns this year with crowd favourites Stone & Wood working alongside some of Noosa's best craft brewers including Land & Sea, Heads of Noosa and Boiling Pot. Brouhaha and Diablo Ginger Beer will also be joining the party. Wanting to meet some great local and visiting producers? The Providore on Hastings Pavilion is the place to be where you will find Amrita Park Mead, Big Heart Bamboo, CC's Kitchen, Cobram Estate, Cooloola Berries, Hum Honey, Kenilworth Dairies, Kokopod Chocolate Australia, Lindols Macadamias, Salumi Australia, Slow Food Noosa, The Fermentary, The Pumpkin House, Ugly Duck Preserves, Barenuts, Woombye Cheese Co. and other producers. Olsson's Salts Masterclasses - 30 minute sessions $35 per ticket: Olsson's Salts are returning again with their intimate range of masterclasses from some of Australia's best chefs, producers and winemakers. These sessions will provide a once-in-a-lifetime opportunity to meet and learn from chefs and producers themselves, second only to being personally invited into their workshops and kitchens. These exclusive masterclasses are a ticketed item and are only accessible with Festival Village tickets. Entry to the Festival Village includes your Noosa Food & Wine Festival stemless poly-carb wine glass, complimentary glass of Dal Zotto Prosecco, live cooking demonstrations, access to the Chef's Skills Table, access to Taste of Noosa Restaurants,entryto the Providore on Hastings Pavilion, entry to the Craft Beer & Cider Corner, live music from 3pm and more! The Festival is a cashless event so bring your debit card, credit card or phone and tap and go! 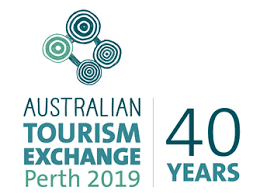 $1 from every entry to the Festival Village will support 'Trees for Tourism' supportingNoosa & District Landcare's rehabilitation initiatives, in particular the Noosa Trail Network Revegetation Project. Your contribution as part of the Festival Village ticket price will help provide shade trees for walkers, assist with erosion and improve the habitat for local wildlife species. The Queensland Government, via Tourism and Events Queensland, is proud to support the Noosa Food & Wine Festival which features on the It's Live! in Queensland events calendar. Queensland, just the place to experience Australia's best live events.